Susie Burns and her Father Frank McCubbins (age 72) hiked the Oregon PCT without ever shouldering packs. They hiked the 486 miles in four segments, with four different kinds of animals. First llamas, then pack goats, then a giant Bactrain camel (two humps), then finally mules. All the animals did well but the goats were the favorites. Although with the camel, it was great fun hearing the PCT hikers behind them wondering what in the world was making those strange tracks down the trail. Matt Prout and Tony Hughes from Horsham Hospital Physio Department for their hard work and advice concerning my knees, legs and stance.To Paul Musker from Insole for 2 pairs of orthotics in super quick time. To Jon Meadows from Billingshurst Ostepaths. Samantha ‘Wait till your toes curl’ Marshall from Samantha’s Therapies for the sports massages. The sleeping and shelter deal. So, if I’m spending an average of 6 nights on the trail, where am I sleeping? I have been asked this a few times so here’s the deal. I’ll start with the shelter, basically a tent. A lot of thru hikers sleep under a ‘tarp’. This is essentially the outside of the tent without any groundsheet so they sleep on the ground with the tarp keeping the rain off. This seems basic, and it is, the reasons for this are to keep weight to a minimum. I’m not fond of this approach. In the UK, fine, the only things creeping around on the forest floor over here are a few ants and harmless spiders. However, I don’t relish the prospect of sharing the ground with the odd scorpion, spider or rattlesnake. I’m therefore using what most people would regard as a conventional tent. A fly sheet sheds the rain and suspended beneath this is an ‘inner’ which puts a waterproof barrier between me and the ground and prevents critters getting in and sharing my sleeping bag. It costs me a few more grams but the piece of mind is worth it. The tent is a Terra Nova Laser Competition and I have owned it for a couple of years so it’s well tested. It weighs in at 860gr / 30.1oz). See the link at the bottom to view the full specs. So, that’s my accommodation sorted, how am I sleeping? You could argue that the sleeping bag is the most important item in the sleeping area but what you put between you and the ground is equally important. Most body heat is lost to the ground. If you have no insulation between you and the earth then it doesn’t matter if your sleeping bag is made by NASA, you will get cold. There are several forms of insulation. The conventional foam mat is still popular and still the lightest. However, it’s bulky and not great in the comfort department. Self inflating mats are the way to go for me and I will be using a Thermarest NeoAir medium. Its light at 372gr / 13oz, insulates me from the ground and because it’s a comfy 65mm / 2.1/2″ thick I feel like I’m on a mattress. Again, see the link at the bottom to see the full specs. Lastly, my sleeping bag. There are two ways to go here, either man made insulation or down. Both have advantages and disadvantages. Man made insulation tends to be a little heavier and bulkier but it is easy to clean (in the washing machine) and can get wet without too many problems. Down is much lighter, warmer, pack smaller and the man made fibres can’t get near to the loft and comfort. However, it’s a huge problem if it gets wet as it takes ages to dry and it will lose all insulation in the meantime. My bag needs to be good down to -7c / 25F which is what I’m expecting in the desert at night. I’ve always been a down bag fan so the choice was easy. I’m using a Western Mountaineering Ultralite Down bag which weighs 1 lb 13oz / 829gr. There’s lighter bags about but this has more room which is important to me, I’m not great at sleeping in a bag! Thanks to everyone who has wished me well over the last few weeks and all the ‘good lucks’. 15 days untill I take the first steps . . . Many thanks to Richard Codgbrook and all concerned at Smartwool for supplying me some sponsored clothing. This stuff is made from Merino wool, it doesn’t itch, keeps me warm when it’s cold and cool when it’s hot, wicks sweat away from the body efficiently, dries quickly, works well in a layering system and it doesn’t smell! I’ve worn this stuff for days and there’s no odour! 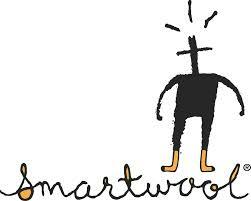 Smartwool have kindly sponsored me with t-shirts, long sleeves tops, leggings and the all important socks. This is a list of what equipment I will be walking with on the PCT. It’s about 98% accurate (I may take items out or add others on). The weights are given in brackets after each item as oz / gr. Utensils: Light My Fire Spork (.39 / 11). Bladder: Nalgene CXC Reservoir 3 litre (5.6 / 160). Gives me the option of carrying 3 litres if I need it, or anything below that depending on conditions. Apparently one of Icelands volcanos is spouting some mischief and flights are cancelled everywhere. This is clearly a conspiracy theory. The English Tourist Board has dreamt this tale up to prevent us from flying to foreign destinations and thus force people to holiday in the UK. It’s very frustrating and I was going to write to my MP about it but he’s out all the time. Something to do with an election? 20th April 2010 – I’m off! So, flight was cancelled! Alernative flights not forthcoming so the Foz takes matters into his own hands! Eurostar to Paris, arrive 22.00 on 20.4.10. Sleep in airport overnight. Mooch around Paris for one day then get overnight train to Madrid. Arrive Madrid, walk into airport and get first flight anywhere remotely near where I need to get to in the States. Depending on where ‘anywhere’ is, may need a coach for the final leg. Get to relatives, retreive equipment that has been mailed there, pack equipment, thank relatives, get Greyhound down to start line. Time Estimate? From leaving home to getting to the kick off party I reckon about 72 hours. Anyone feeling like they should wish me luck, please feel free! Nearly there! Some stories don’t have a clear beginning, middle, and end. Life is about not knowing, having to change, taking the moment and making the best of it, without knowing what’s going to happen next. Delicious ambiguity . . . Train from Horsham to London. Tube to Kings Cross. Eurostar to Paris. Metro to another train station. Slept on station floor. Train ticket to Madrid with one change. Tube to Madrid airport, slept on floor. Air ticket to Philadelphia. Arrived Philadelphia, 2 hour stopover then flight to San Francisco. Stayed one night with relatives, then Greyhound bus to San Diego. Taxi to the Pacific Crest Trail Kick Off Party. Made it! 25th April 2010 – I’ve started! Miles 0 to 76.8 of 2,650 (Mexican border to Highway S2). All good! The ADZPCTKO (Annual day zero Pacific Crest Trail Kick Off Party) was fantastic, lots of like minded people there to give and exchange advice. 350 odd thru hikers registered this year, lots of free food, great people and great fun. I started on 07.00am on Sunday 25th April at the Mexican border. Blue skies, temperature around 25c and a cool breeze. I was with two thru hikers, Cara and Gabe. We signed the register at the official start monument, took photos, took a moment to contemplate what we were about to do . . . and started to walk north 2,650 miles. The first 400 miles (about 3 – 4 weeks) is essentially desert walking. Not as hot as I had expected but it’s accepted as a thru hiker that long sleeves and trousers, sun hat and a bandana over the neck is the norm. The PCT winds its way up from 2200 feet at the start to 6000 feet in the Laguna mountains in the first few days. Very few trees but a generous amount of rain over the Winter months means there is greenery, with spring flowers. It is sandy and gritty under foot which provides a very satisfying ‘crunch’ when I walk. Occasional shade is welcome and sometimes the ground is damp which I can feel on the skin as well as a sweet smell. There is little water. More than the average for this time of year, but not much. Most of the water sources are running, little creeks and streams gurgle and tinkle as clear, sweet water ambles past. I have to use the water filter but it is tempting just to dunk my head in. Occasionally I soak my bandana and squeeze it under my hat which provies some respite. Within 2 hours myself and Gabe had recieved our first greeting from the resident rattlesnake population. We rounded a bend in the trail and suddenly a sound like air escaping under pressure from a pipe ensured we both came to an abrupt halt. It just sat there, coiled and ready to strike, tasting the air and shaking its tail. A few well aimed sticks failed to move it on, so we were forced around it, about 12 feet away. Twenty minutes later and another one! Great, I thought. 2 snakes in as many hours but now I have encountered them, my phobia has, I think, is softening. They just do their own thing and will not strike unless you get too close. We climbed slowly up to Mt Laguna at 6000 feet elevation and arrived late on Tuesday 27th. Awe inspiring panoramas all around, and this is just the first few days. There is still the occasional small patch of snow and we have been warned there is more to come. Gabe and I sat on the ground outside the local store munching on fresh fruit and began to notice the odd hiker commenting on a storm that was blowing in that night. We soon gathered that severe winds were expected, the worst being that night and then dying to ‘strong’ over the next couple of days. We holed up in a cabin, as did most of the others, sharing with a Mojave and Cheeks (these are trail names which all the hikers have). The cabin was lashed with wind and rain overnight and by mid day the rain had stopped but the wind persisted so me and Gabe headed off despite warnings from hikers who had returned saying the wind was too strong and we should wait. It was strong, at times blowing so hard that we could not actually move forwards. We were joined by Ben and together struggled through somehow to the Pioneer Mail trail head. Unable to doing anything in the worsening wind and plumetting temperatures, we hastily cooked a hot meal and pitched tents, taking three of us to do this as the other two held down each others tents. Somehow, we all made it through the night, albeit it without any sleep. I have not experienced such winds ever and to be camped out as they slammed into the side of my tent and buffeted me all night was frightening. When I awoke I had to smile as I looked at Bens tent. He had obviously decided at some point in the night that his tent was not secure enough and had anchored a line to an adjacent picnic table! Physically I’m good. The knee which gave me problems during training is solid. My right calf aches from time to time and I massage it each night. I have some minor blisters, nothing compared to what I experienced on El Camino a few years ago so I am happy. I tend to them each night, pierce each one with a needle, squeezing out the fluid and sterilising with alcohol. My face is a little dry, to be expected in the conditions and I smell like a skunk having taken a vacation in the local sewer. I am now in a charming little village called Julian, having hitched a ride in from Sandra, a local lady. I am in the company of the only other English man on the trail, going by the name of the Mad Hatter. We have been fed courtesy of Buffalo Bills Burgers and I have a few bits and pieces to buy before heading back out on the trail later today. I will camp again tonight, the Mad Hatter could not resist the lure of one night in the hotel. I have plenty of photos and video to add on the blog once I can download them somewhere. Thanks for following, stay tuned. The ADZPCTKO name badge. These are worth millions . . . This was day 7. After a night camped in a dry stream bed at 5000 feet, the PCT descended to 2000 feet on the approach to a rest day at Warner Springs. From a damp, misty and cold start the trail welcomed me with opened arms at the end of an incredible first week. I spent the day weaving through woods providing dappled shade, the odd gurgle of a creek keeping me company. Trees merged into meadow bursting and over flowing with the lilacs, blues, reds and pinks of Spring flowers. Mice peeked at me from their burrows as I walked past, lizards ran for cover, rabbits hopped about. After the cold, the wind, the aches, the blisters and the hunger, it felt as though I had proved myself over week 1 and in return the PCT just gave me a huge welcome hug. Miles completed: 151.8 of 2650. Days completed: 14. Views and panoramas to die for. I was expecting hot, arid and dry desert in southern California but it is continuing to surprise me. Sand gives way to scrub, surrendering to rocky outcrops reminding me of old western movies. Then, I climb to 8000 feet and walk through pine forest with flowers, straining to see a horizon many days walking in the distance. Heat like I have never experienced changes to a chill in the mountains as I pull on hat, gloves and a down jacket and wake up to ice on the tent. It’s a constantly moving and changing scene that continues to catch me out. For the last 2 days I have walked from highway 74 (not the most romantic of locations – I apologise), to a place called Saddle Junction in the San Jacinto Mountains. I had been warned by some of the park rangers that there was still snow about in places, mainly on the north facing slopes. My ice axe and crampons were still back at Base HQ (relatives in San Jose), as were many of my hiking companions. However, I and some fellow hikers decided to walk rather than wait for 3 or so days for them to be posted. The first night at Fobes Saddles (around 6000 feet), I was with an American woman called Burnie and several other guys as we watched a cloud bank rolling towards us like a charging bull. The guys decided (badly) to continue on and up. Myself and Bernie retreated down a couple of hundred feet to the relative safety of a clearing in some woods. At 8.00pm I stood outside the tent and watched, amazed and dumbstruck at the roaring storm that was flying past a couple of hundred feet above me like a torrent of water at a rapids. At 2.00am it finally rested and I managed to get some sleep. I surveyed a sand blasted tent and equipment that I had left under the fly sheet in the morning, everything covered in a fine layer of dust and grit. Storms, it would appear, are being part of the deal here. I walked 11 miles the following day, climbing and dipping relentlessly like a leaf on a fluctuating breeze. One minute I gasped and sweated in heat, the next I pulled on extra clothing because of the cold. From Fobes Saddle to an increasingly distance Saddle Junction, I tentatively made my way through 6 foot snow drifts that littered the trail. For the last 2 miles the PCT appeared and vanished under the snow as the sun began to set. 11 miles took 11 hours. At 8.00pm I finally staggered down the Devils Slide Trail to Idyllwild, somehow managing to erect my tent and climb, exhausted and filthy into my sleeping bag, too tired even to wash.
And I loved every single second of it . . .
It’s another 400 miles or so until the start of bear country in the High Sierra. Those that know me will realise that these animals scare the living crap out of me and it’s the one experience of the PCT that I’m not looking forward to it. It’s not a case of if, more when. I conducted some serious research into this area before I left and the following video best illustrates how to react to and deal with a bear encounter.